Home Rush Our New Store Is Here! Our New Store Is Here! 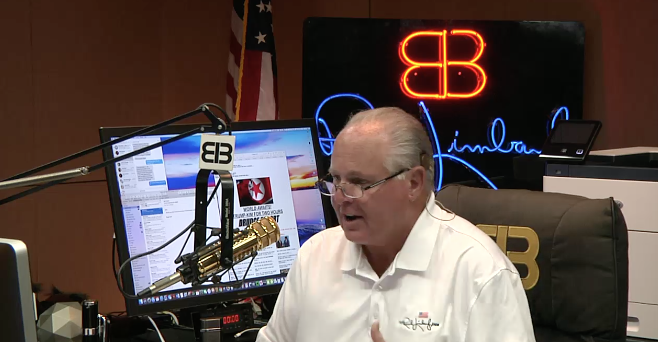 RUSH: For the past number of years — and I’m not kidding, years — people have asked me to upgrade the EIB Store. And I will admit it was allowed to — “lax” I guess is the word for it. And part of that, part of the reason for that is my reluctance to sell stuff to you in the audience. It’s always made me a little nervous. But, as we’ve upgraded our app and more and more people are using it and the website ditto, we are hearing from more and more of you that the store really needs to be upgraded and updated. The stuff in the store has been the same that’s been there for years. So we heard you. And for the past six months or longer, we have been engaged in a massive redesign and restocking of the EIB Store. I admit this is my fault that we took so long to do this. But this literally is because of popular demand. And so we soft launched it on Thursday, just to get it out there and have it up and running, and if people noticed it when they visited the site, fine. This is the first day I’m actually, quote, unquote, promoting it. 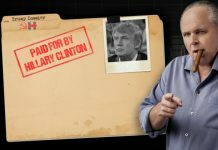 It’s up and running at RushLimbaugh.com. And it is so much better. I rolled my sleeves up and made some demands on this. The stuff that is in the store is now high quality. 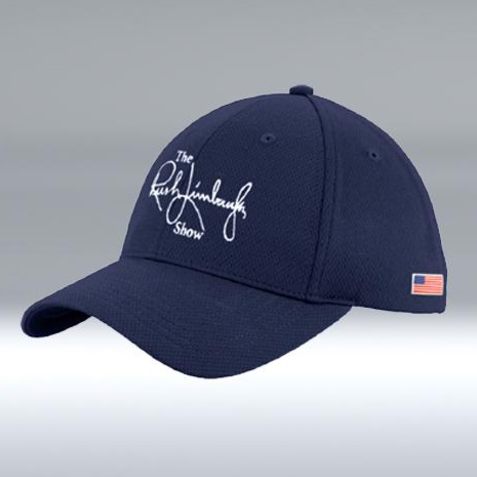 For example, the Rush Limbaugh Show caps, got a brand-new logo, the Rush Limbaugh signature, Rush Limbaugh Show, American flag, the caps. I got sick and tired of cheap, flimsy caps that look like they’re 10-years-old when you buy ’em, so we now have capes made by New Era. New Era is the company in Buffalo that has been manufacturing baseball caps for Major League Baseball teams for decades. This cap is the same cap with one difference: The New Era baseball team caps are individually sized. If your head is six and seven-eighths, then that’s the — ours of course are sizable in the back, but it’s not a cheap plastic sizability. It’s Velcro. We’ve got personalized golf balls. We have personalized, cool T-shirts. We have golf polos. I’m wearing one right now. I wear this on the golf course. It has withstood countless launderings and washings. It does not shrink. It looks just like it’s brand-new after every washing. We have upgraded everything content-wise in the store. We have upgraded the shipping so that when you open the box it looks like something special has arrived. We kind of stole the idea from our buddies at Boll & Branch. Their packaging is so great that it makes it look like it’d be perfect for gift giving. So you can see all of this. 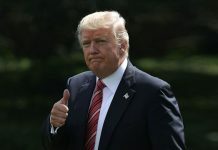 Now, remember, too, we’re avid supporters the United States military and their families. We sponsor Marine Corps-Law Enforcement Foundation, a portion of sales for the new store go directly to MC-LEF. And here’s the deal. In honor of the grand opening today through June 14th, free shipping. 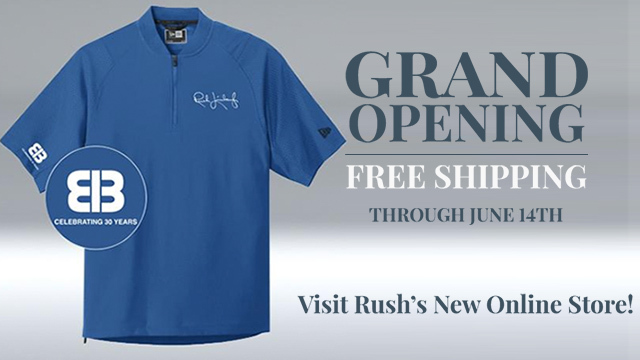 The new EIB Store at RushLimbaugh.com with top quality, plenty of inventory, check it out the next time you’re at the site. You’ll like what you see there. RUSH: Father’s Day is coming up on Sunday. There’s a lot of stuff in the EIB Store that I guarantee you will be great for Father’s Day. 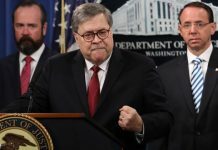 Previous articleWhere’s the GOP Pushing Back?